Tucked away in the very west, Lisbon seems to be sometimes forgotten amidst the excitement of Europe. It had always been overlooked by me also, but now it has (almost) become my favorite city. Perhaps it was all the sun that seemed like a sharp contrast to the nasty rainy weather in the Netherlands, but after reading the points below, I’m sure you will be surprised by what you’re missing out! 1. Let’s start with a beautiful view of the city. 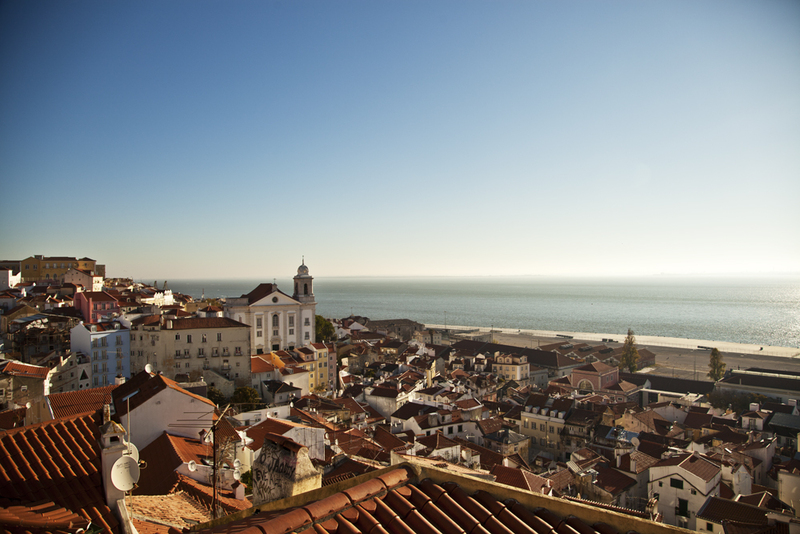 This is Lisbon’s oldest neighborhood, Alfama, built on spectacular hills overlooking the sea. 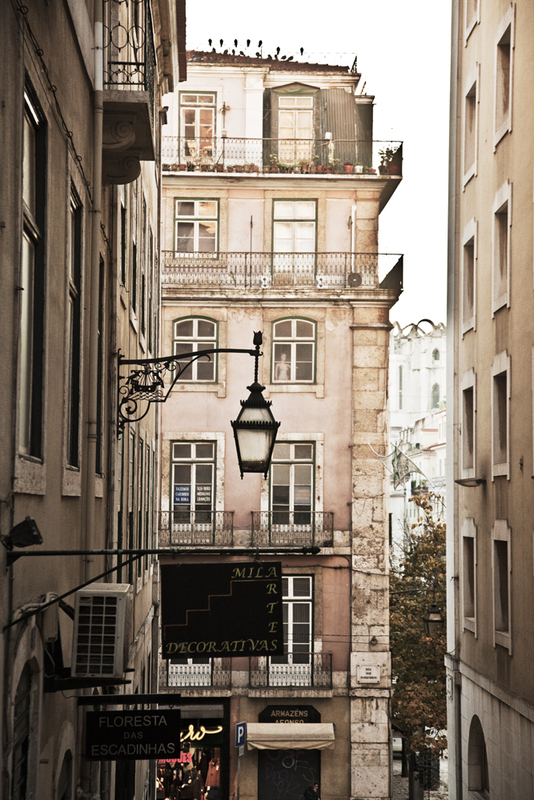 Lisbon is also known as the city built on seven hills, so prepare yourself for some nice shoes to walk in! 2. 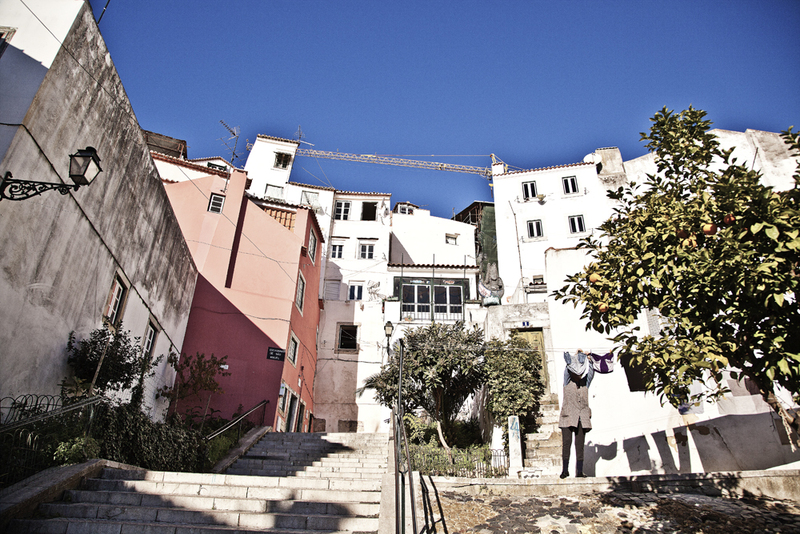 Walk inside the ancient neighborhoods of Alfama. Skip the main tourist sites (Castelo de Sao Jorge) first, and walk into the lives of the local, enjoying the elegant and colorful walls. 3. 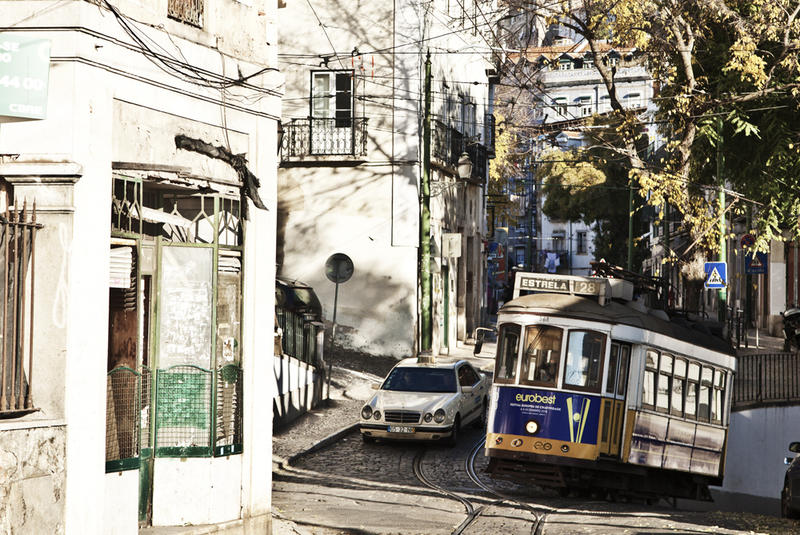 Instead of taking city tour buses, ride in Lisbon’s very own tram, which is an attraction by itself. They’re cute and cheap, however also infamous for possibilities of pickpockets onboard. Trams in Lisbon have been running for over 100 years! 4. 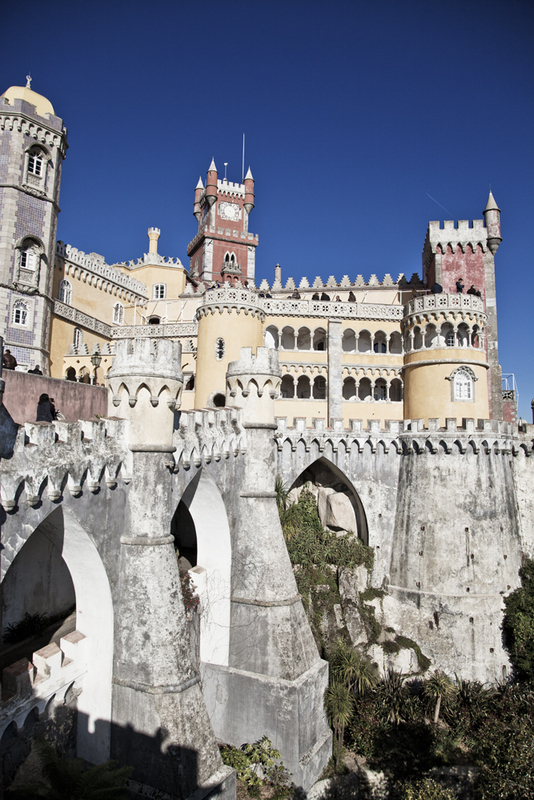 Lisbon, or Portugal contains several of UNESCO world heritage sites. The first picture shows the Palace of Pena located in Sintra, only a 40 min train ride from Lisbon and is absolutely worth spending a whole day in. 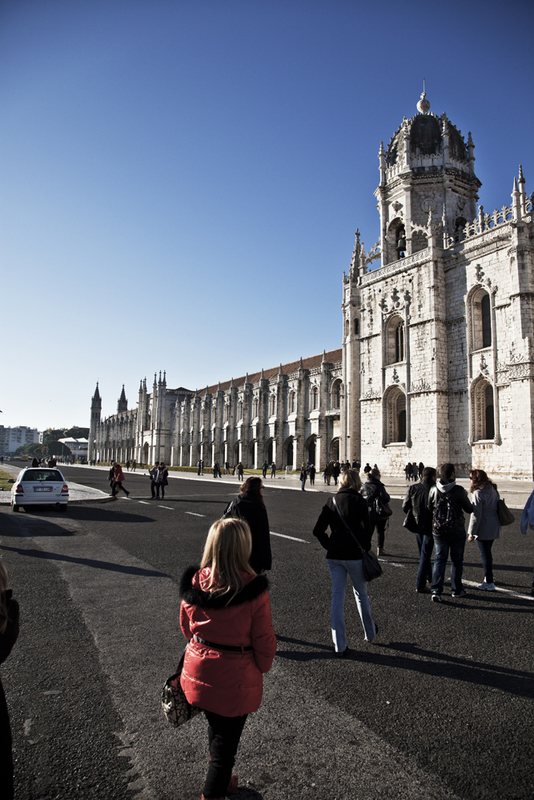 The second picture is the Jeronimos Monastery located in the Belem Neighborhood in Lisbon. 5. 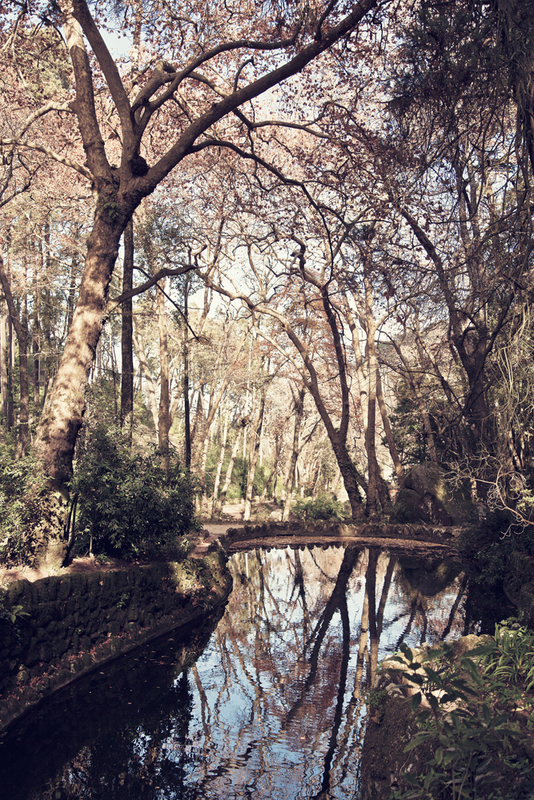 If you do decide on the excursion to Sintra, be sure to take a hike in the Valley of Lakes. It consists of five lakes that all the water from the park flows into. Breathtaking views with utmost tranquility. 6. Take a stroll down streets like this. 7. Enjoy delicious seafood the city has to offer! Remember, the smaller the restaurant the more authentic it is. 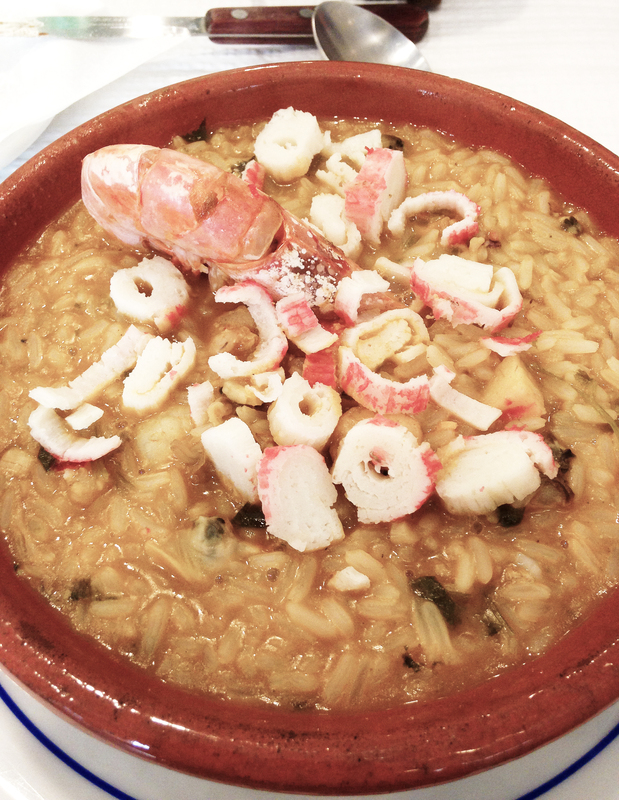 This is the Seafood Paella I had in A Minhota da Prata in downtown Lisbon for a friendly price for only 7.5 euros. 9. 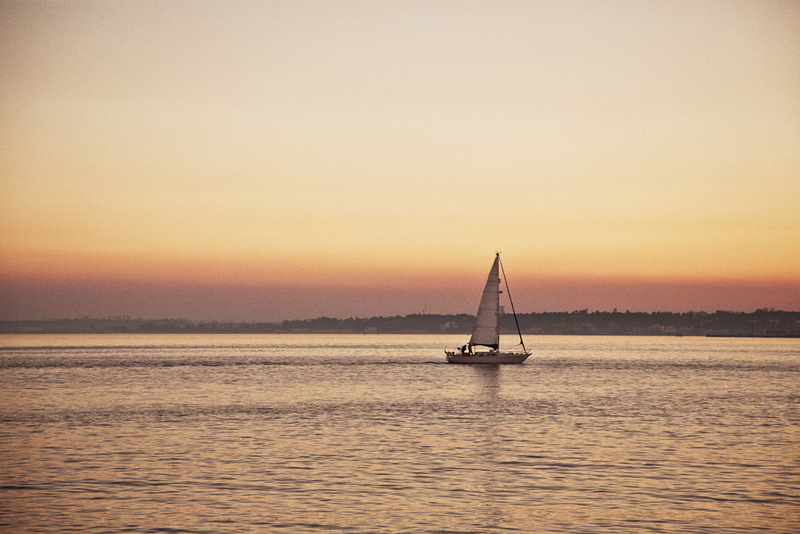 Enjoy beautiful sunsets like this at the Praça do Comércio. 10. 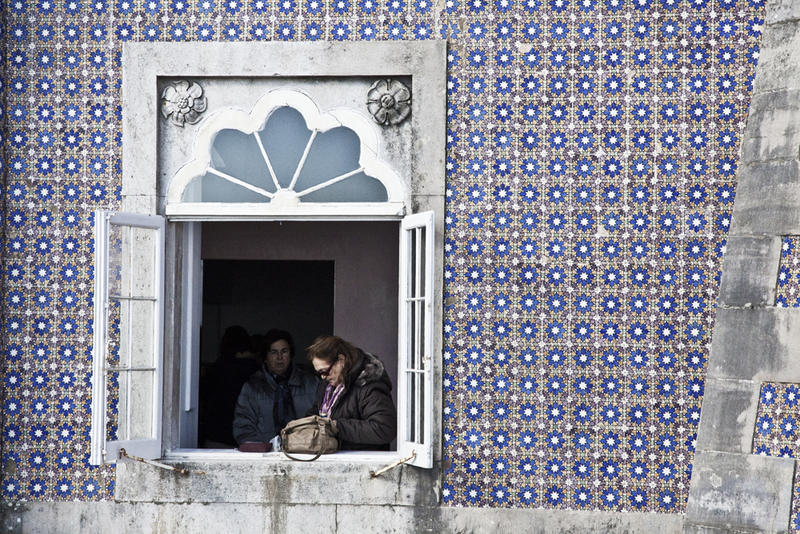 See beautiful Portuguese tiles (or purchase one as a souvenir!) on buildings everywhere like this. 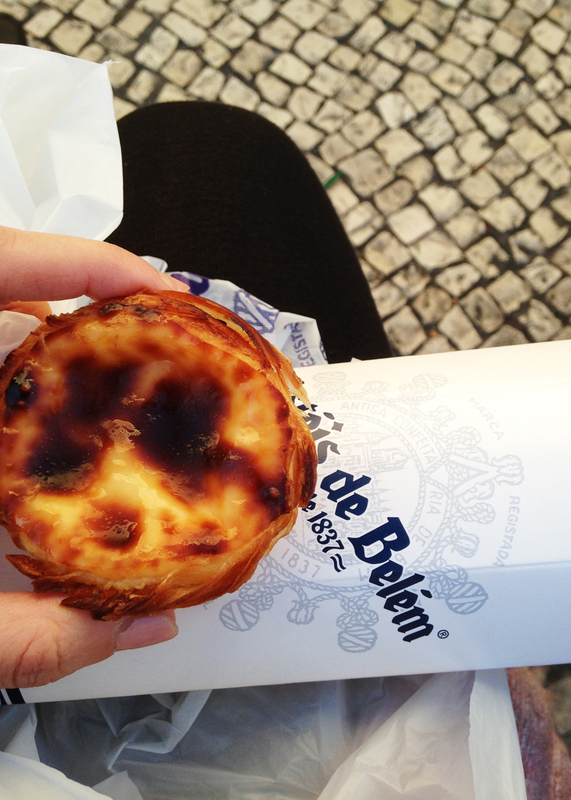 This entry was posted in 48 Hours: Foodies En Route, Do, Explore, Stuff we love and tagged europe, lisbon, portugal, sea, travel, unesco. Audrey (Utrecht) is a photographer/writer currently based in the Netherlands. She documents her dreams and makes them into short stories. She is attracted by cities of decay and originality and loves walking around and finding herself lost! Visit her works at facebook.com/pollutant. What a beautiful trip. :-) I’m envious of all the seafood and pastries from your descriptions! Also love the pretty tiles.